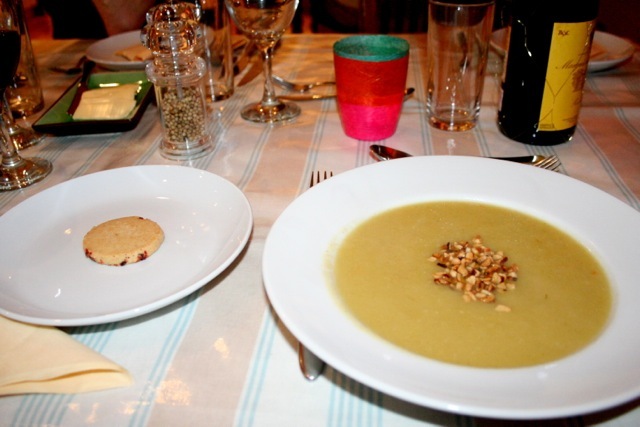 Supper Clubs are a new breed of dining and, like most things that involve food, we were keen to try it out. 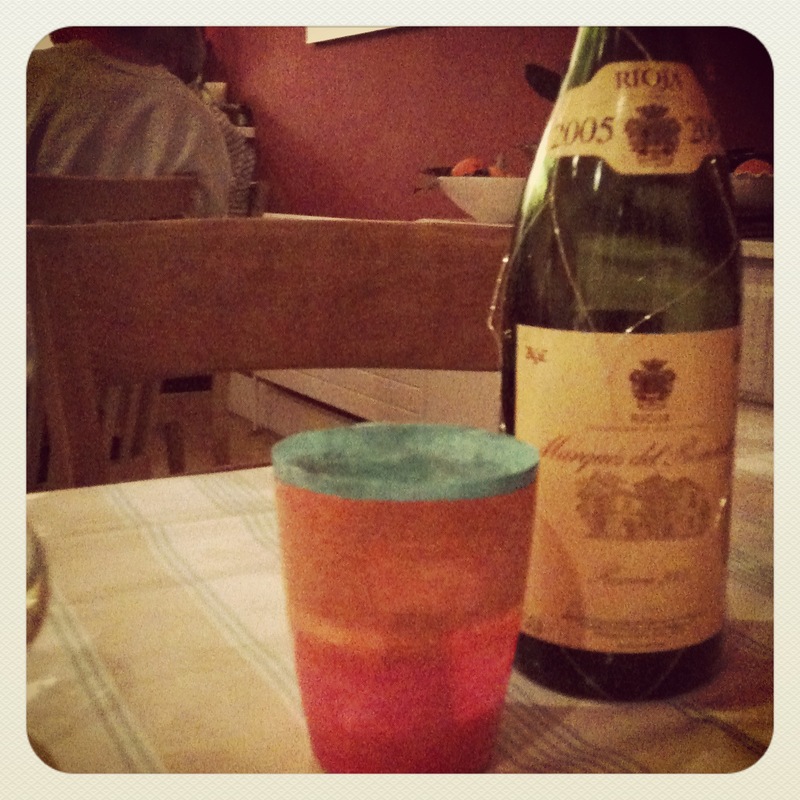 Having been subscribed to the Balham Supper Club’s emails for months we finally made it to one last Thursday. Of course, this new way of eating-out-but-eating-in opens up a whole new set of social etiquette to deal with. Do we take off our shoes like we might in another person’s home? Do we offer to help with the washing up? How do we tip someone in their own home? John sets a ‘suggested contribution’ at £22 per person (£10 deposit per person), and you bring your own booze. Rather than handing over cash to someone at the end of the night, there’s a discretionary jug placed on a shelf by the coats to add what you like to. We arrive shortly before the sit-down time of 8pm and most people are already there, drinks open and breathing. There’s no real table plan, but we make our way to the table at the back which has vacant seats. We’re sat with another couple, Freya and Paul and a solo eater, Kat (who we have to thank for most of these pictures -must invest in a decent camera!). They were all great company, and very easy to make conversation with. Of course, it always helps if you all really like food. 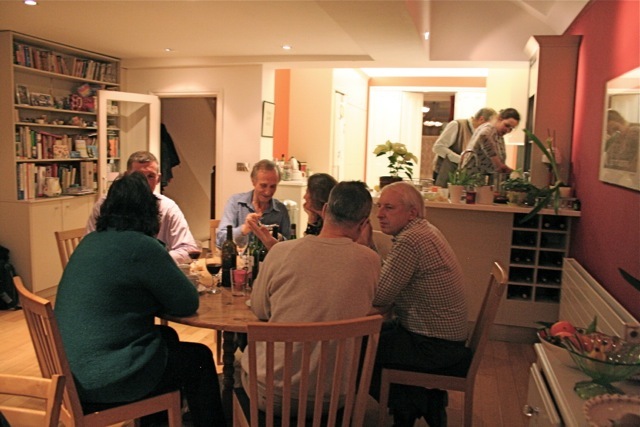 The supper club caters for a maximum of around 18 people, and we were spread over two tables. The words ‘citrus’ and ‘parsnip’ seem like an odd combination of seasonal produce chucked into one pot but it really worked, especially with the soft, crunchy hazelnuts drizzled on top. The aperitif served on the side was a buttery pink peppercorn biscuit with a flavour that none of us except serial foodie Kat could guess – cumin. Leaving us wanting more, we were soon served our main. It’s all served on one dish – you get what you’re given, rather than helping yourself to dishes in the middle of the table, where one person invariably hogs the carbs (there’s always one). The pork pulled apart easily when tucking in, and was laced with a deliciously sticky glaze. 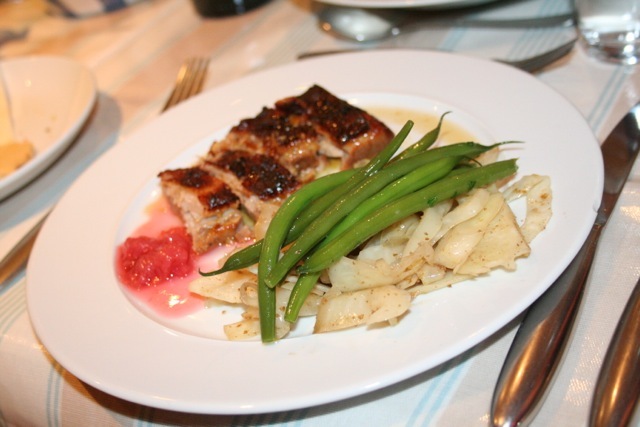 The seasonal vegetables chosen to accompany the pork consisted of green beans and sliced celeriac, and with the plum relish it all made for a very colourful meal. Who said January was drab? 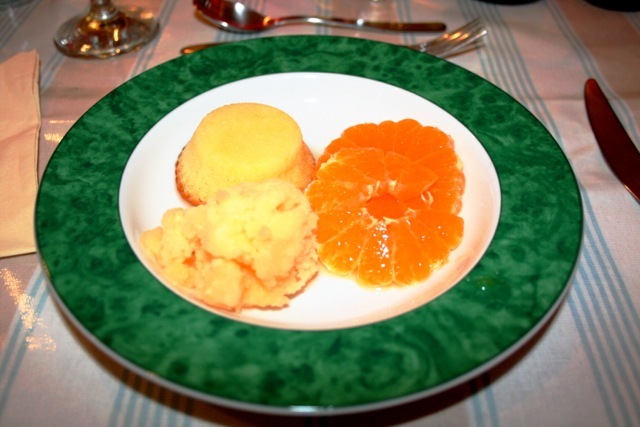 Last but not least came more citrus bites in the form of clementines, buttermilk pudding and citrus sorbet. We’re not too fond of overly fruity desserts (reminds us too much of tinned syrupy desserts) but not a drop was left on our plate. Tea and coffee was served with mini chestnut meringues (no picture – d’oh!). All very lush. The setting was so comfortable, like you’re in someone’s, erm, home. John’s daughter Sophie played host while John stayed mostly in the kitchen. One thing that has to be noted was how calm everything was; no clattering of plates or pots boiling over. Everything was in order, and this extended to the rest of the room. No washing up necessary, keep your shoes on. John started out with holding his supper club once a month but thanks to more flexible work shifts, he’s extending this to twice a month, with the next one on Thursday 2nd February, with this exact menu. Book asap to avoid disappointment. Thanks to Kat at Guestaurant for supplying the food pictures. sounds like a brilliant, RELAXED, idea. 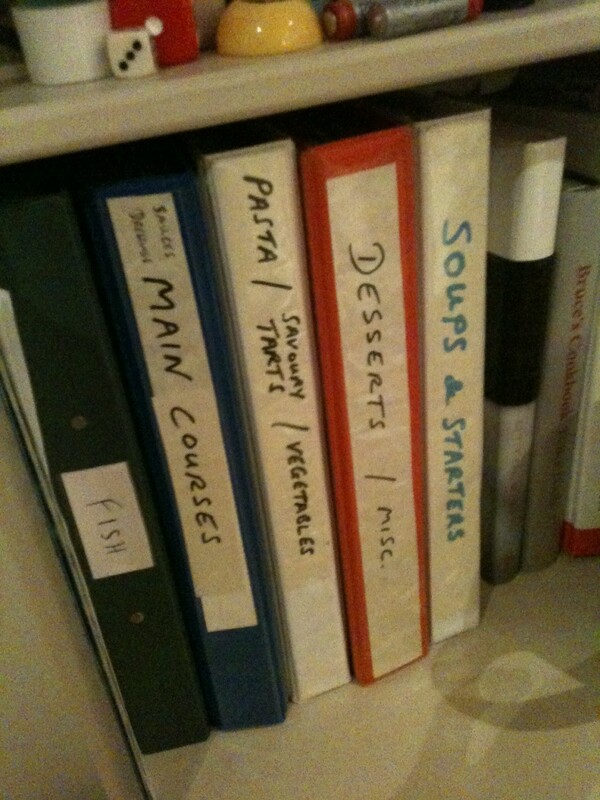 Pretentious retaurants take note, your days may be numbered!